The new 2013 Dodge Dart will be coming fitted with Chrysler’s brand new Aero Package that will boost the fuel efficiency of the vehicle exponentially. 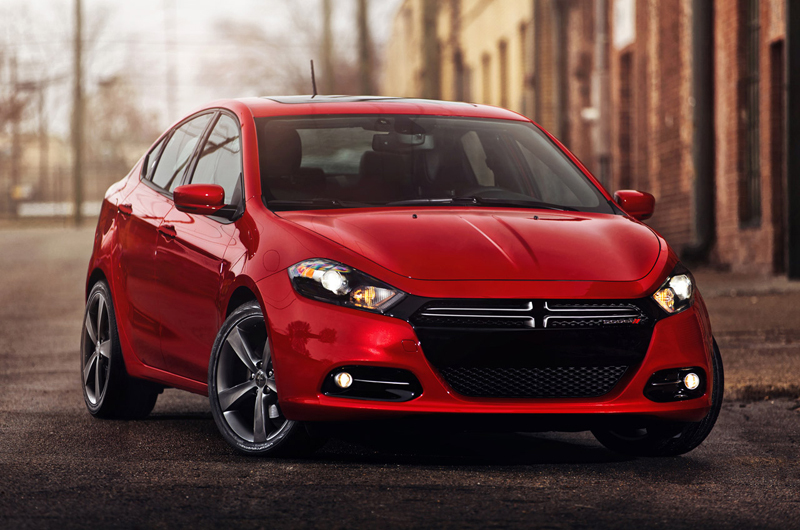 The 2013 Dodge dart comes with a four-cylinder 1.4-litre turbocharged engine that mates with manual transmission. All of this mechanism gives you a commendable mileage of 27 miles per gallon on the roads of the city while a massive 39 miles per gallon on the long highways. This 1.4-litre turbocharged engine produces a good power of 160 hp with a peak torque of 184 lb-ft. The 2013 Dodge Dart is the very first car from the garage of the Chrysler Group that is manufactured on the design of Fiat and can be called a pioneer vehicle in terms of technological and safety features. However, the firm has not yet confirmed the price tag on the Aero package it is providing. This car is scheduled to be launched by the middle of this year and it would be made available in five different variants. These variants would be SE, SXT, Limited, R/T and Rallye. The manufacturing of Dodge Dart will take place in the Illinois Assembly Plant of Chrysler Group. This panache and genteel looking car has an ambience that reflects the perfectionist artisanship and the excellent groundbreaking expertise. The car will come loaded with a host of attributes that will best suit the needs of both the driver and the passenger. The most interesting part here is that you may receive your Dodge Dart in accordance to your favourite choice. It is more like a tailor made custom option where you have the choice to tak3 your pick from the vast list of 14 interior combinations along with 12 exterior colours, while the six different kinds of wheels and three varieties of engines could make the selection part very difficult.